I was pleasantly surprised to come across some of the vintage photographs of my sweet hometown while roaming through Google last evening. Historical portraits of how my city looked a good few decades ago, to be more precise, three-quarters of a century back. Now I think anyone who loves this place should closely look and assess how the modern day democracy has benefited the city. 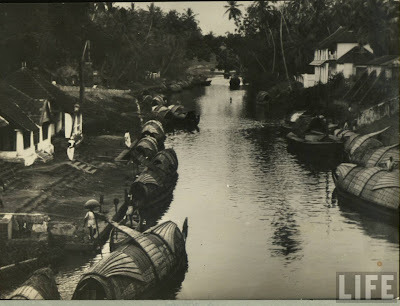 The images in the post are that of Parvathy Puthanar or rather the TS Canal (Trivandrum- Shornur Canal). 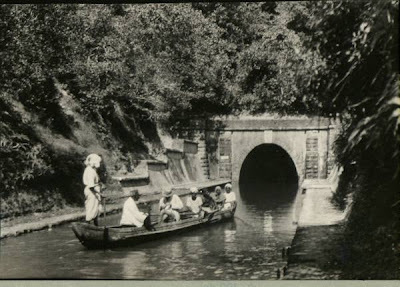 This 560 km waterway, as history says, was used as a means for transport of both people and goods, as an avenue for leisure and the water even used for bathing and drinking. 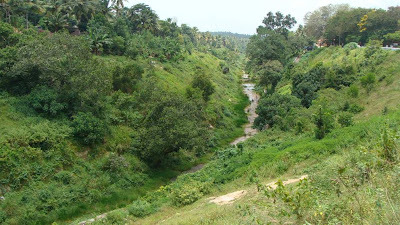 The canal starts near Kovalam, a few kilometers from Trivandrum city-center, cuts through the city touching the Airport perimeter, old industrial estates, Akkulam lake, Kazhakkuttam and flows into the Kadinamkulam Lake. It then joins the Ashtamudi through a magnificent feat of Engineering called the Varkala tunnel. The Parvathi Puthanar significantly boosted the trade relations that Trivandrum enjoyed with its neighbouring towns. There were anecdotes about the Travancore Royal family enjoying the rides in the waterway with crystal clear water, as evident from the name itself. Alas, the name of the canal now severely contradicts itself. 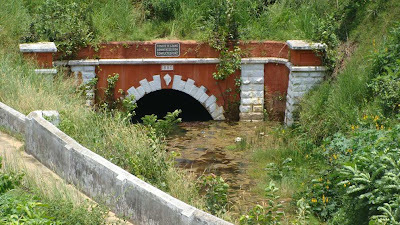 For a present day Trivandrumite, the TS Canal is synonymous with pollution, a portal for dispersal of communicable diseases and an end point for the raw sewage and wastes of the city. It's a total mess, a bane in itself. The once marvellous ecosystem has degraded into a weed-house, a breeding ground for rats and a habitat for vibio cholerae, E coli and thy mates. Not to mention the stenchy odour polluting the whole neighbourhood. 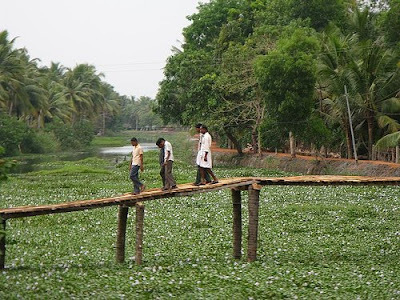 The canal threatens the quality of ground water and even the Akkulam and Veli lakes. Blame it on the authorities and the lopsided development of the city, but Parvathi Puthanar isn't something that the citizens could afford to let die. 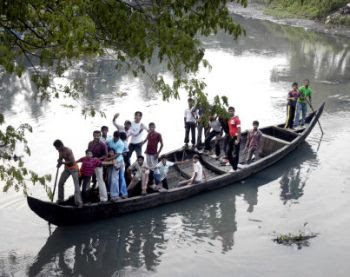 There has been sporadic and ineffective efforts by various Governments to resuscitate the waterway but with lack of funds, incompetent methods to check the primary pollutants and administrative red tapes meant that the canal remained a curse. It doesn't give any comfort to see the canal in all its glory during the reign of the King. See for yourself...All the vintage photographs sourced from the LIFE photo-archive hosted by Google. Then: The expansive boatyard near Chakkai bridge having business as usual. Then: The Vallakadavu Boathouse brimming with activity. 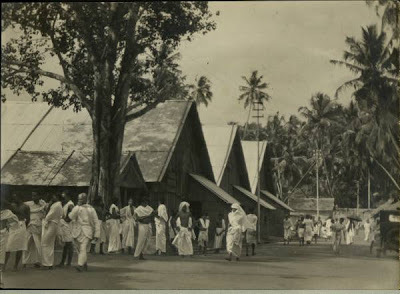 Built in the 1820 it was the hub of cargo and passenger transport for Travancore State. 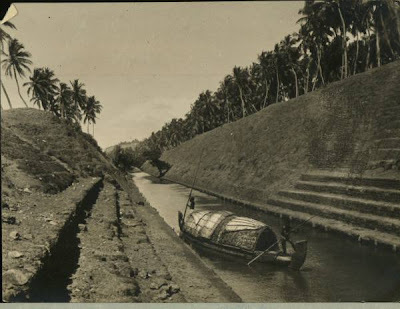 Then: TS Canal near Varkala. Then: The famed Varkala tunnel. 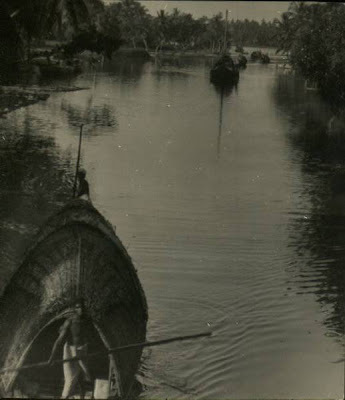 Then: The picturesque and green waterway used for commerce and travel. Today: Too much "greenery"... Water hyacinths and weeds are the major travellers and inhabitants of the system. 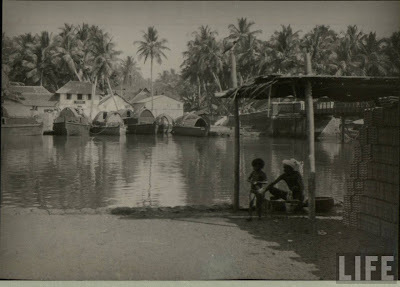 Then: The Chakkai boatyard from a different angle. So there! What has the modern democratic governments done upto now? There is no point in flagging the dead horse, so lets move on and see what they propose to do about this catastrophe. 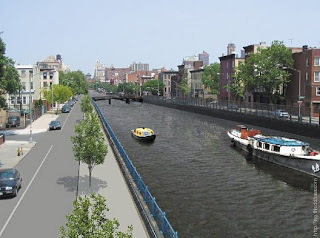 The Theerapadham Project envisaged by the authorities in the late 90s planned to convert the urban stretch of the TS Canal into a waterfront haven, yeah something like the image you see below. A dredger did some moving around here and there and deposited all the silt onto the canal banks. Soon there were protests from local residents about sullage on the shores and work stalled. At the first rains all those deposits were washed back into the canal and everything went back to square one. There are fresh hopes raised when the 74 km Kovalam- Kollam stretch of the waterway was included as a part of the Smart Waterway project of the Central Govt. This will facilitate the desilting of the TS Canal, widening the canal to 14meters and to a depth of 2.2 m and restoration of the Sivagiri tunnel to complete the linking of the stretch to the National Waterway network which currently begins in Kollam. Works are currently underway on some reeches. The project also envisages the integration of the Akkulam- Veli lake bodies and restoring the aquatic qualities of the water bodies. Boat terminals in Trivandrum and Varkala are planned. This time things have more chances to be fruitful because the primary funding is from the Central Government. Read more about the project here. But for the full facial of Parvathi Puthanar into a modern day beauty there are some serious under-the-skin treatments to be performed which solely lie on the local self governments. First and foremost task is to check the influx of sewage into the TS Canal. Strict enforcement of law is necessary against whoever pollutes the water body. There has to be measures in place to check silting and ensure free flow of water. And obviously, one need to learn from earlier mistakes and make sure the dredged out sediments are disposed off properly. Combined effort of more than two Government Departments are needed for the whole process, which could be the toughest job of all! Once realized, the prospects are immense! The cheaper transport options and growth of trade & commerce appear to be immediate benefits. Perhaps the Theerapadham project could well and truly take off once the waterway project is successful. 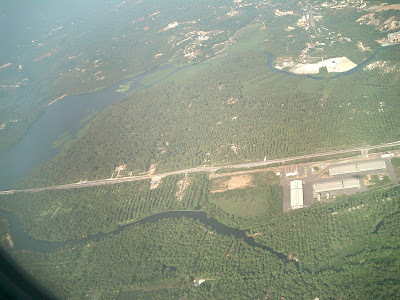 The canal presently runs almost parallel to the NH Bypass and the NH 47 upto the Technocity area, before merging with Kadinamkulam. This throws up an exciting prospect of a waterfront boulevard on the lines of those in Amsterdam or Copenhagan. With the Internationally renowned destinations like Kovalam and Varkala on either sides and the local attraction of Akkulam-Veli on its way its a dream setting for any city .Throw in the swanky new International Airport under construction on its path I already see the intelligent investor rubbing his hands and licking his lips! 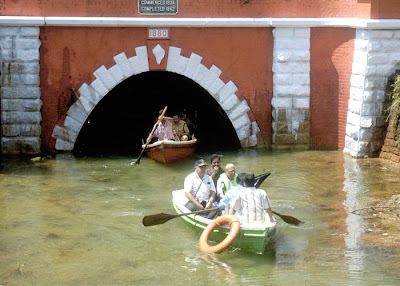 Now we don't want this to end up like the canal system in Alappuzha which constantly deliver chaos to the town. Town planners must also walk in the boots of an interior designer if we want to see a truly charming parkway. And please, don't give us another dampener like the Veli-Akkulam Walkway which has broken down and dissolved in many areas. Are these ideas outlandish? I honestly don't feel so.. I strongly feel that as a nation in gallop, our cities need to think a step above the big names I mentioned in this article. And why can't Trivandrum? May be this is one chance to show the world we're capable of exhibiting a glossy showcase as well!